THOUSANDS STORM YANUKOVYCH'S PALACE, FIND HIS GOLDEN TOILET.......STAND UP America. KIEV, Ukraine (AP) - In a stunning reversal of fortune, Ukrainian opposition icon Yulia Tymoshenko left imprisonment Saturday and spoke to a massive, adoring crowd, while her arch-foe President Viktor Yanukovych decamped to eastern Ukraine and vowed he would remain in power. Protesters took control of the presidential administration building and thousands of curious and contemptuous Ukrainians roamed the suddenly open grounds of the lavish compound outside Kiev where Yanukovych was believed to live. Parliament, which he controlled as recently as a day earlier but is now emboldened against him, on Saturday called for his removal and for elections on May 25. But Yanukovych said he regards the parliament as now illegitimate and he won't respect its decisions. The political crisis in the nation of 46 million, strategically important for Europe, Russia and the United States, has changed with blinding speed repeatedly in the past week. First there were signs that tensions were easing, followed by horrifying violence and then a deal signed under Western pressure that aimed to resolve the conflict but left the unity of the country in question. Tymoshenko, whose diadem of blond peasant braids and stirring rhetoric attracted world attention in the 2004 Orange Revolution, was both sad and excited as she spoke to a crowd of about 50,000 on Kiev's Independence Square, where a sprawling protest tent camp was set up in December. Sitting in a wheelchair because of a back problem aggravated during imprisonment, her voice cracked and her face was careworn. But her words were vivid, praising the protesters who were killed this week in clashes with police that included sniper fire and entreating the living to keep the camp going. "You are heroes, you are the best thing in Ukraine!" she said of the victims. The Health Ministry on Saturday said the death toll in clashes between protesters and police that included sniper attacks had reached 82. And she urged the demonstrators not to yield their encampment in the square, known in Ukrainian as the Maidan. "In no case do you have the right to leave the Maidan until you have concluded everything that you planned to do," she said. "We missed Yulia and her fire so much," said demonstrator Yuliya Sulchanik. Minutes after her release, Tymoshenko said she plans to run for president, and Sulchanik said "Yulia will be the next president - she deserves it." Under the agreement signed Friday, Yanukovych faces early elections, but it is unclear when they will happen. His authority in Kiev appeared to be eroding by the hour. Yanukovych spoke on television in Kharkiv, the heartland of his base of support and ironically the same city where Tymoshenko was imprisoned. He truculently likened his opponents to the rise of Nazism in the 1930s and accused them of a putsch. "Everything that is happening today is, to a greater degree, vandalism and banditry and a coup d'etat," he said. "I will do everything to protect my country from breakup, to stop bloodshed." Ukraine is deeply divided between eastern regions that are largely pro-Russian and western areas that widely detest Yanukovych and long for closer ties with the European Union. Yanukovych's shelving of an agreement with the EU in November set off the wave of protests, but they quickly expanded their grievances to corruption, human rights abuses and calls for Yanukovych's resignation. The conviction of Tymoshenko was one of the underlying issues driving the protests. After the 2004 Orange Revolution helped bring Viktor Yushchenko to the presidency, Tymoshenko became prime minister. But when Yanukovych won the 2010 election, Tymoshenko was arrested and put on trial for abuse of office, an action widely seen as political revenge. On Saturday, before Tymoshenko's arrival, other opposition figures hailed Yanukovych's deteriorating hold on the country. "The people have won, because we fought for our future," said opposition leader Vitali Klitschko to a euphoric crowd of thousands on Independence Square. Beneath a cold, heavy rain, protesters who have stood for weeks and months to pressure the president to leave congratulated each other and shouted "Glory to Ukraine!" "It is only the beginning of the battle," Klitschko said, urging calm and telling protesters not to take justice into their own hands. Top EU foreign envoy Catherine Ashton welcomed the release of Tymoshenko as "an important step forward in view of addressing concerns regarding selective justice in the country." The president's support base crumbled further as a leading governor and a mayor from the eastern city of Kharkiv fled to Russia. Oleh Slobodyan, a spokesman for the border guard service, told The Associated Press that the Kharkiv regional governor and mayor left Ukraine across the nearby Russian border. Another service spokesman, Serhiy Astakhov, said the former prosecutor-general and former taxation minister were prevented from leaving on the order of unspecified law-enforcement agencies. Russia came out Saturday firmly against the peace deal, saying the opposition isn't holding up its end of the agreement, which calls for protesters to surrender arms and abandon their tent camps. Tymoshenko's entreaty is likely to make the latter condition slow to be fulfilled. Russian Foreign Minister Sergey Lavrov on Saturday called his German, French and Polish counterparts and urged them to use their influence with the Ukrainian opposition to stop what he described as rampages by its supporters. European officials urged calm. Ukraine's defense and military officials also called for Ukrainians to stay peaceful. In statements Saturday, both the Defense Ministry and the chief of the armed forces said they will not be drawn into any conflict and will side with the people. But they did not specify whether they still support the president or are with the opposition. In Kharkiv, governors, provincial officials and legislators gathered alongside top Russian lawmakers and issued a statement saying that the events in Kiev have led to the "paralysis of the central government and destabilization of the situation in the country." Some called for the formation of volunteer militias to defend against protesters from western regions, even as they urged army units to maintain neutrality and protect ammunition depots. Anti-government protesters around the country took out their anger on statues of Soviet founder Vladimir Lenin, using ropes and crowbars to knock them off pedestals in several cities and towns. Statues of Lenin still stand across the former U.S.S.R., and they are seen as a symbol of Moscow's rule. The past week has seen the worst violence in Ukraine since the breakup of the Soviet Union a quarter-century ago. At Independence Square Saturday, protesters heaped flowers on the coffins of the dead. "These are heroes of Ukraine who gave their lives so that we could live in a different country without Yanukovych," said protester Viktor Fedoruk, 32. "Their names will be written in golden letters in the history of Ukraine." This story is dedicated with gratitude to all of you from the Star Nations, who came here to hold the Light on Earth. The information and audio recordings on this site are from Source, God or Universal Consciousness. I call the words I speak ‘Light Language’, but really they are coding sequences of Sound and Light transmitted through mu voice, hands and eyes as the conduit. When you listen regularly to these energy words you will change physically, emotionally and on deep levels of soul. You will feel better and your life will become easier. You will begin to create and magnetize your deepest desires. These energy transmissions are a gift from Spirit to us all as our real purpose in our Earthly lives is to be happy and well. This site is also designed to prepare you for a spiritual, physical and consciousness upgrade, to begin to activate previously dormant human DNA potential. We are now at the beginning of a new Golden Age on Earth. It is time to prepare ourselves for what lies ahead. All you need do is listen. Begin by clicking the ‘free’ link and experience the energy for yourself. Sunshine Before the Dawn is an inter-dimensional love story about a woman called Essayenya, from the Fifth-Dimensional star civilization of Sirius and Mosteenya, the Lyran leader of the Galactic Council. Sunshine Before the Dawn reads and appears like a work of fiction, but it’s not! Every word was telepathically transmitted to Judy Satori by beings of light. These loving, extraterrestrial star beings, contributed an aspect of their own DNA to the creation of a new, more evolved species of human being for Earth. This new hu-man, or man and woman created in the image and likeness of God, has the inherent capacity within their DNA, to move beyond the confines of a third-dimensional Earth. In previous cycles on this planet, spiritual Masters have demonstrated this and have ascended. This story has been brought through from Spirit at this time, to prepare you for Earth ascension. With Earth’s ascension, the inherent DNA coding within us will be activated. This is both a physical and a consciousness upgrade. The day has come. We are the ones from the stars. Sunshine Before the Dawn is our story. The words are coded. Your heart will respond, and you will begin to remember why you are here. Please understand your download format before purchasing an e-Book format. Instructions for eBook downloads. THIS IS HUGE, WOW, HE WOULD NOT OF GOT CAUGHT IF THE BAD GUYS WERE IN CHARGE OF THIS GAME. GLORY!! The world’s most wanted drug kingpin, Mr. Guzmán, known as El Chapo, has been captured at a Mexican resort, a law-enforcement official said. 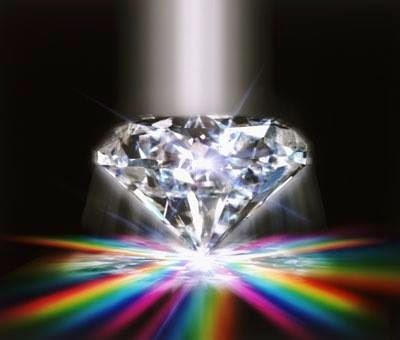 RECORDED NOW DIAMONDS SHOW FINANCIAL CHANGES & UFO TWINS AS GUEST CLIK LINK FOR INSTRUCTIONS. WAIT TILL YOU HEAR THIS!! CONFIRMS ALL THE POST I HAVE BEEN POSTING LATLEY!! INCLUDED THE FINANCIAL REFORM. Video: Is Comcast Merger with Time Warner in the Public Interest? Comcast is preparing to buy up Time Warner combining the nations largest and second largest cable providers spending about 45 million..